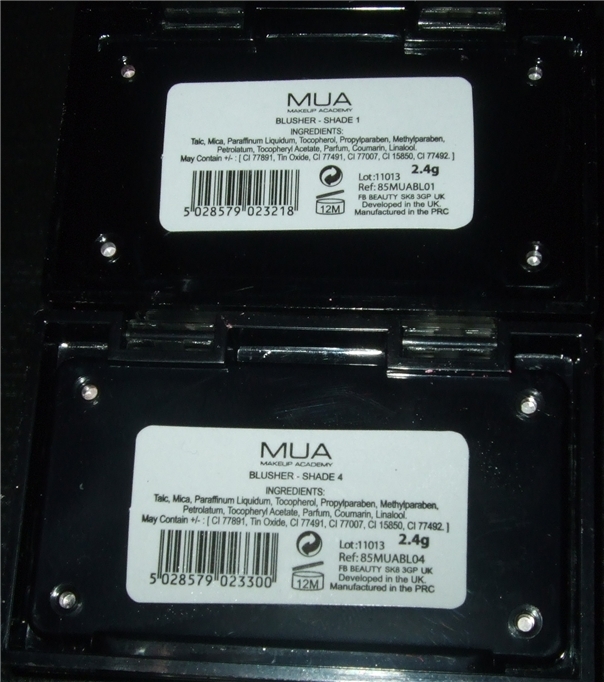 Costing only £1.00 each, I picked up two shades from MUA to try and now I'm going to go back and get them all. 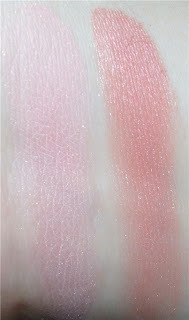 I picked up 'Shade '1' which is a light angelic doll pink with light reflective shimmer and 'Shade 4' that is a deep rose coral with this gorgeous sheen. 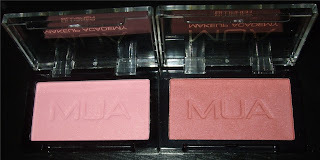 Both of these colours are equally very pigmented, though they are a tad chalky and somewhat harder to blend than most blushers, they last all day. 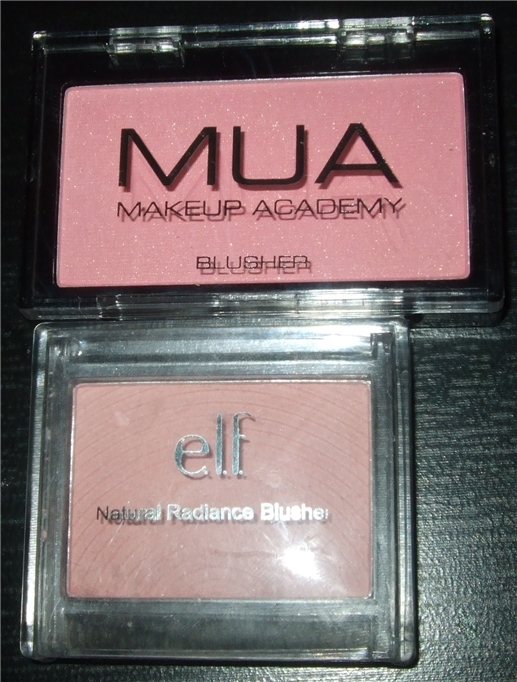 At this price I was expecting much much worse, considering I'm seriously disliking ELF's Natural Radiance Blusher that is smaller and costs 50p more, if you like you can see my review here. The packaging is a flip lid that is easy to open and doesn't come with those useless free brushes. I love these blushers for £1! I've got them all except no 5 which I think is new and looks like Sleek Rose Gold! I have shade 2 only (pink with sparkle) and I love it! It's amazingly pigmented and probably since it has sparkle it isn't as chalky.